Mother's Day is nearing the end of the day. This run improves the last published movie by 39 frames (0.65 seconds). Overall, this run is very similar to the previous movie since it has improved the record with only better luck manipulations without creating a new route. So I'll only write about the characters' states he didn't describe. When each character is leveled up, they gain Fight, Speed, Wisdom, Strength, and Force abilities based on their unique constants. Basically, each ability affects its corresponding state. For example, Fight are Offense, Speed are Defense, Strength are HP, and Force are PP. The value of each ability and state is proportional to each other, and must be absolutely high maximum HP of Ninten in order to survive the attack of the Giegue. Therefore, to increase Ninten's maximum HP, you must always increase Strength ability to 3 when leveling up. Other abilities don't need to be increased to 3. 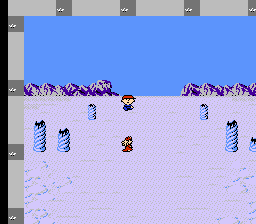 Under the above conditions, after defeating six Last Starman, Ninten can gain a total of 105 HP at level 13.
pirohiko: Through his EarthBound TAS, I first knew the Mother series. And his previous movie also helped me a lot. Starmen.net: Largest EarthBound fan site that no need to explain. Masterjun: Replaced movie file with a 64 frames improvement. Masterjun: Accepting to Vault as an improvement to the previous run. The discussion thread posed the question why we have two runs of the same game with the same goal in Vault. The answer is simply one uses the USA version, and one uses the JPN version. Our movie rules allow different versions of games with significant gameplay differences to be published side by side.